The art show is presenting the reactions of three artists to the social context and their attempt to solve some problems. At the crossroad between awareness and seeking for solutions, they invite the viewer to assume an active position, whether it’s about social relations, food ethics or using available resources in the artistic and editorial environment. 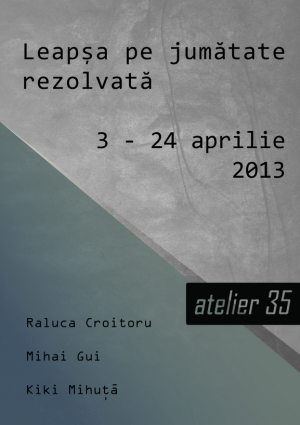 "The Half Solved Tag" Art Show in Bucharest. You can get here description, reviews, address, time and details of "The Half Solved Tag" Art Show in Bucharest. Visit Bucharest Tips for more Art Show events in Bucharest!